I was closest to my mother's family. My uncles were my heros. My special uncle, Jim, was in the Army , Jack was in the Army and garnered several purple hearts and a Silver Star. Billy was in the Air Force and continued his aviation career after leaving the service. They all gave during World War Two. My grandmother carried a life long aversion t o telegrams and telephones. She was so worried about them all. They are all gone now but I al am glad for them every day - proud that they were my uncles. 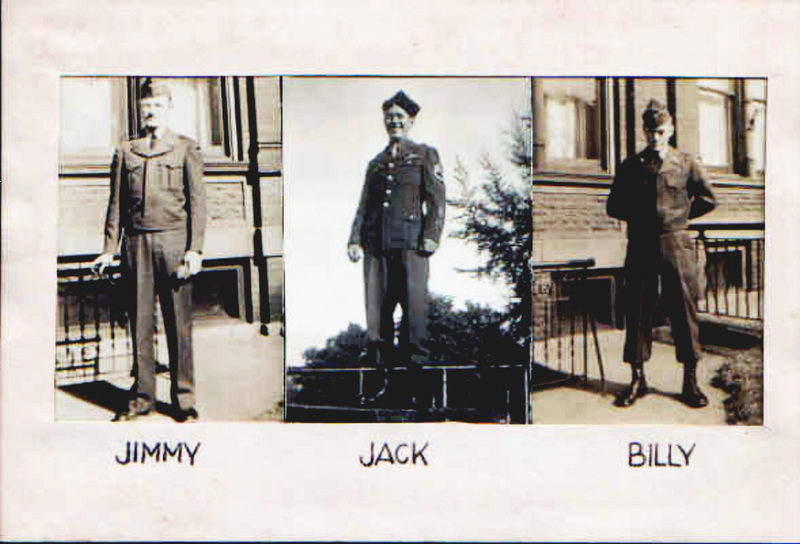 Here is the oldest, Uncle Jack enjoying a little family time - you can see how young Jim and Billy still were when Uncle Jack joined the services! The other two wonderful people in this photo are my beloved grandmother and grandfather. Hero's all in my heart. I wonder if my mother was taking the photograph!